On Friday the 30. of this month Frank and I are spinning, selling and destroying records again in the 4. AUKTION/DESTRUKTION happening at the Kollage in Berlin, Kreuzberg. On the same night we are also proud to introduce Eli Salzman from Santa Cruz, California who is going to perform at aroung 9 p.m.
Eli, who just moved to Berlin a month ago, is a singer/songwriter with a great voice and beautiful heartfelt songs. 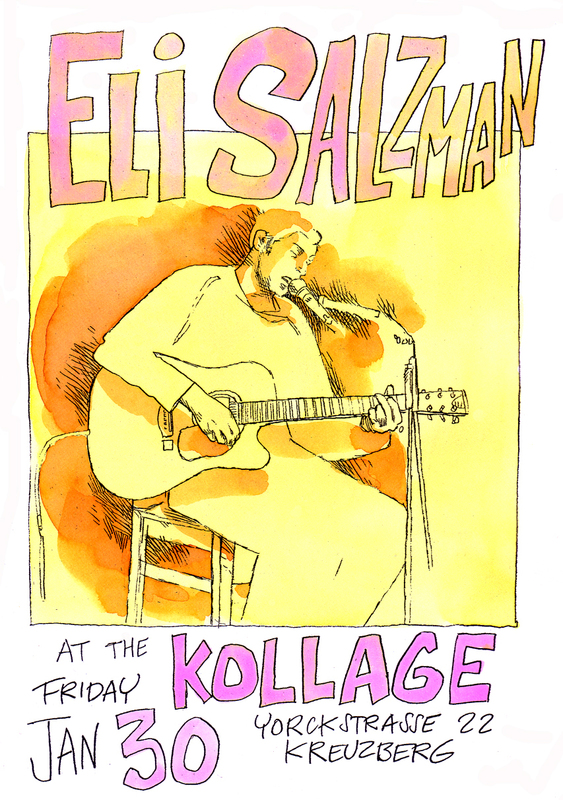 Come early to warm up a bit from the freezing cold outside and listen to Eli Salzman! And then get ready for some record destruction!!! Also I moved some of the comics-related links to that site and added some new music blogs. One of them is a new Estonian blog about Russian records appropriately called Melodija. 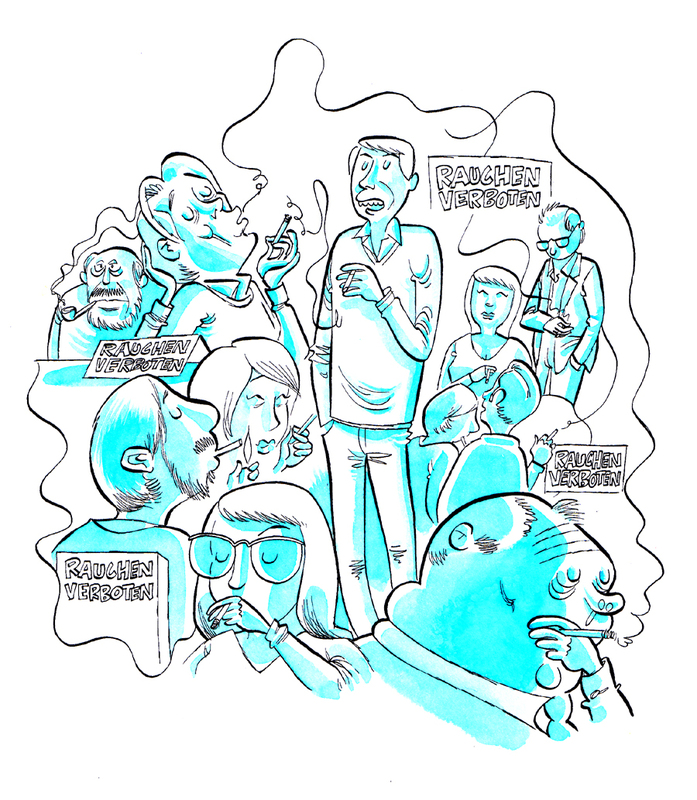 My socialist brother-blog Ostberlin Beatet Besseres is still posting like crazy and great stuff too recently. Check it out! I will stay with my weekly schedule.